The 8 pocket rucksack features six exterior pockets with eared flaps and side release closure and two additional pockets on top of rucksack for equipment and storage. Access to the main compartment is through a top or bottom zippered opening. 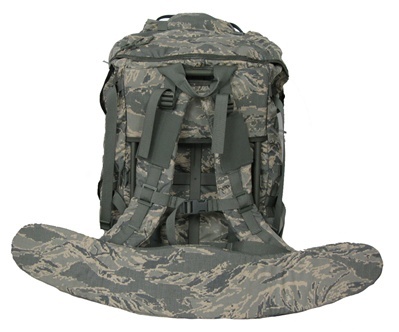 It features a mesh internal divider with paracord drawstring closure and has modular attachment points on sides and bottom for additional pouch and equipment attachment. 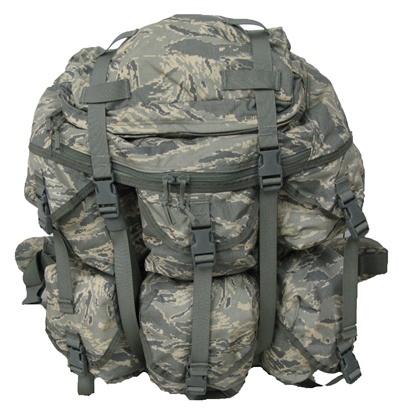 The ruck includes a top lightweight shroud for securing the main compartment. An internal flap for securing communications gear or other equipment and a lightweight suspension system that includes ALICE frame, suspenders and waist pad are also featured. 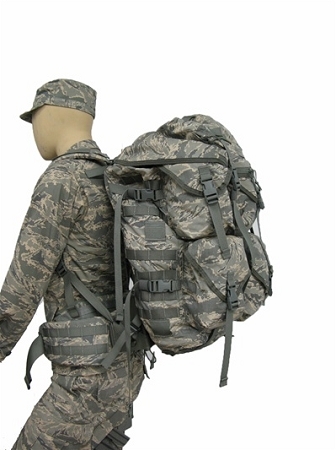 The pack also contains a removable one day patrol bag.